What does the official cash rate cut mean for you? In March the Reserve Bank (RBNZ) made the decision to lower New Zealand’s official cash rate by 0.25%, to just 2.25%. You can read the monetary policy decision statement here. In announcing the decision, the Reserve Bank Governor Graeme Wheeler targeted softening international growth as well as domestic challenges, as a reason for accommodating monetary policy. “There are many risks to the outlook. Internationally, these are to the downside and relate to the prospects for global growth, particularly around China, and the outlook for global financial markets. The main domestic risks relate to weakness in the dairy sector, the decline in inflation expectations, the possibility of continued high net immigration, and pressures in the housing market. If you are an existing home owner, and assuming that our financial institutions pass the rate cut on in full – what effect could the RBNZ decision have on your finances? According to Canstar’s database the current average floating mortgage interest rate is 5.78%. So if the recent cut is passed on in full then mortgage holders on the average rate, with a typical $400,000 mortgage over 25 years could expect their mortgage repayment to reduce by around $60 per month. 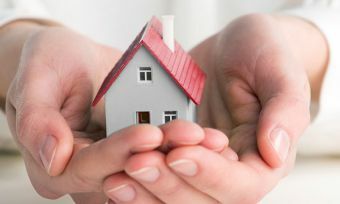 On the other hand, if mortgage holders receive the rate cut but keep their monthly repayment amount the same, they could potentially save around $37,600 in interest costs over the life of their mortgage and cut more than a year off the term of their mortgage.